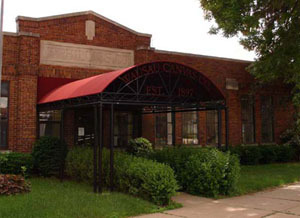 Since 1897, Wausau Canvas Company has been a nationwide manufacturer and supplier of high performance industrial fabric products that serve a wide variety of applications. For manufacturers, distributors and service companies, Wausau Canvas Company is continually called on to provide durable products that stand the test of time. Many of our products are custom manufactured to the exact specifications of our customers. And that makes Wausau Canvas a different kind of company. Our product are utilized in manufacturing plants and on the open road as protective covers and shields, in facilities that require material sound barriers, for banners and point-of-sale purposes, for storage cover and systems, and the list goes on and on. Designers at Wausau Canvas Company take the time to understand your product needs. By using computer aided design techniques, we can manufacture product that are structurally sound each and every time. Comprehensive schematics, when applicable, are created and reviewed with each customer so that tolerance levels are precise. Whether the need calls for custom designed tarps for the trucking industry, or protective dust covers for heavy machinery, Wausau Canvas will create and produce a one of kind product for your facility. Only The Most Durable Materials. At Wausau Canvas, only the most durable and time-tested materials are utilized. It’s our business to understand fabrics, framing and other ancillary materials. Our extensive library of material is renowned in the industry. And the entire staff of Wausau Canvas is knowledgeable in the composition of each type of material that might be utilized in a finished product. They’ll be able to recommend the best and most affordable material for your specific type of application. Because each on of our thousands of customers have a different product need, Wausau Canvas Company has the ability to manufacture a countless number of varied products. But through it all, several factors never change. Our design capabilities are top-notch, our on time delivery record is unblemished, and our installation services are comprehensive. At Wausau Canvas, it’s not enough to simply manufacture superior products; we will also provide assistance in the installation of the products at your request. Each and every product we manufacture must meet the discriminating test of our quality assurance standards. Fabrics and other material are tested and retested for durability and strength. Finished products must meet the tolerance standards set forth in schematics. And all products must be expertly seamed, constructed and printed before they are delivered for their final application.